Ubuntu is the most popular Linux distribution on personal computers and Linux Mint is the second most popular. Even though Mint is based on Ubuntu (which in turn is based on Debian), their interface and default applications have become increasingly different over time. Linux Mint prioritizes elegance and user-friendliness, and is more open to proprietary software being pre-installed. However, Ubuntu offers more advanced installation options, including an easy install for dual booting on Windows PCs. 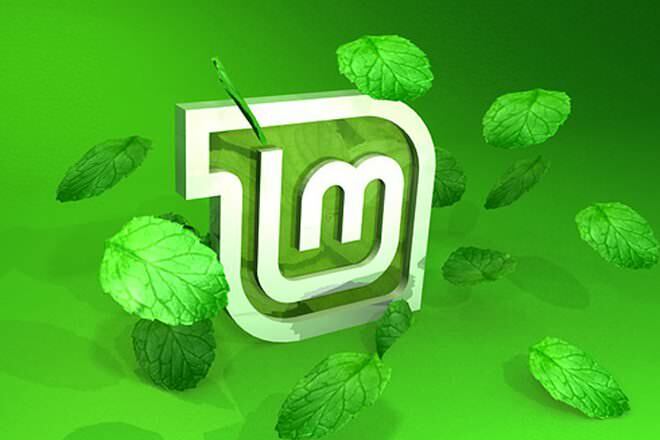 Linux Mint surged in popularity in 2012, winning several accolades including Best Linux Desktop from CNET, and was the most popular distribution on DistroWatch. Linux Mint 17.3 "Tara" on June 29th, 2018 Ubuntu 18.10 "Cosmic Cuttlefish" on 18 October 2018. Linux Mint is a community-driven Linux distribution based on Debian and Ubuntu that strives to be, "a modern, elegant and comfortable operating system which is both powerful and easy to use." Ubuntu (originally /ʊˈbuːntʊ/ uu-boon-tuu, according to the company website /ʊˈbʊntuː/ uu-buun-too) is a Debian-based Linux operating system, with GNOME as its default desktop environment. Linux Mint community Canonical Ltd. Developed and distributed by the Linux Mint community Developed and distributed by Canonical ltd.
Ubuntu’s original philosophy was to create an easy-to-use Linux desktop with reliable new releases every six months. The system is based on the belief that every computer user should have the freedom to download, run, copy, distribute, study, share and improve their software without paying licensing fees, should be able to use their software in whichever language they choose, and should be able to use all software regardless of disability. The Debian distribution of Linux was released in 1993. It focused on security and stability. Ubuntu was released as a Debian fork in 2004. Mint was first released in 2006, although this first version never had a stable release. The 2.0 release, “Barbara,” received more attention, and using feedback from the community, many more versions were released between 2006 and 2008. There are new releases every six months for both Ubuntu and Linux Mint. All Linux Mint releases are now based entirely on the latest Ubuntu release, guaranteeing full compatibility between the two. All Ubuntu-compatible computers are listed on Ubuntu.com. Mint also offers a variation called LMDE that guarantees full compatibility with Debian instead of Ubuntu. In general, Ubuntu and Debian packages are compatible but sometimes they are not, and require re-compilation from source. Linux Mint is lighter and faster than Ubuntu, although Ubuntu has improved its speed since 12.04. Mint is arguably a better choice than Ubuntu for older or under-powered hardware. Both Mint and Ubuntu use mostly free and open source software. Linux Mint (other than the OEM version) is pre-installed with some proprietary software that most users tend to need, such as Flash, Java and audio/video codecs for playing proprietary formats like WMV files. Recent releases of Ubuntu have taken a leaf from the Mint book and while Ubuntu distributions do not pre-install such software, Ubuntu now allows the user to download them with one click during the installation process. Mint and Ubuntu both come installed with LibreOffice (suite of productivity apps like word processor and spreadsheet), Firefox browser, Thunderbird (email client), and Transmission (BitTorrent client). Mint also comes installed with Pidgin, VLC and GIMP. Ubuntu also has several basic games such as Sudoku and chess. The first difference that casual users would notice between Mint and Ubuntu is the user interface and desktop environment. Mint users can choose between MATE and Cinnamon for their desktop environment. The Cinnamon menu is fairly similar to a traditional application menu, giving an overview of all installed applications, places and recent files. There is also a simple dock at the bottom of the screen. Cinnamon also has a hot corner in the top left, which can give a workspace overview. Ubuntu’s default desktop is Unity, which is available in 2D and 3D. It uses a standard GNOME based interface. 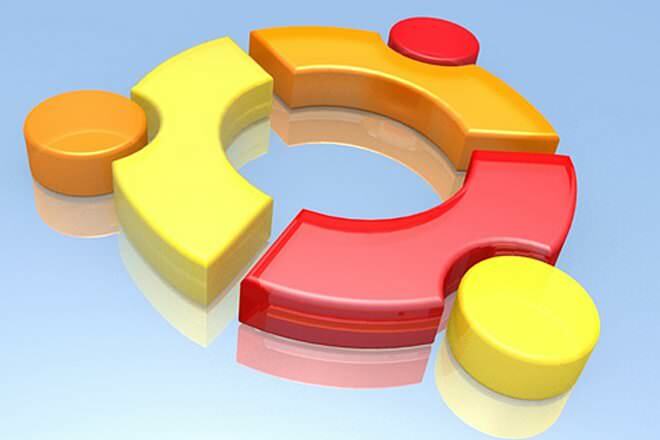 It allows users to pin web applications to the Launcher on the desktop and conduct an online search in the dash. When Unity was first released, it received a lot of criticism but with recent releases and as people have become comfortable with it, Unity also some praise. The most recent controversy with the Unity desktop is Canonical's decision to show search results from retailers like Amazon in its universal search by default. User interface is a matter of personal preference and the Linux user base is divided in their loyatly to desktop environments. That is why Ubuntu also supports interfaces other than Unity, such as KDE, Xfce and classic GNOME. Linux Mint is also available with KDE Plasma Desktop and Xfce. Other desktop environments can be installed via APT in both distributions. Since all the popular desktop environments are supported in both Ubuntu and Linux Mint, it may not be a good idea to use the desktop environment as the basis for choosing one over the other despite the fact that this is the first difference that users notice. According to DistroWatch, Linux Mint is the most popular distribution (as of April 2013). According to other online surveys, including with PC World, and ZDNet, Ubuntu is the most popular Linux distribution. Mint is now the 4th most popular operating system, behind Windows, OSX and Ubuntu. As of January 2013, the latest version of Ubuntu was downloaded 81,063 from CNET, and Mint had been downloaded 2,075 times. According to a recent Linux.com article, Mint was declared the best distro for desktop use and Ubuntu for laptop and multimedia use. As of February 2016, the latest release of Ubuntu is 15.10 "Wily Werewolf" and the latest release of Linux Mint is version 17.3 "Rosa", which is based on an older Ubuntu release — 14.04 LTS (Trusty Tahr). A new version of Ubuntu is released every six months (see Ubuntu release history). The new version of Linux Mint based on Ubuntu typically followed one month after Ubuntu's release but as the project has slowed down, this is no longer the case (see Linux Mint releases). In February 2016, it was revealed that hackers had compromised the Linux Mint website and distributed a version of the OS that had a backdoor. Hackers had served a compromised version of the operating system software, which was downloaded and installed by some users. The same hacker(s) also stole copies of the Linux Mint forum and database, which includes personally identifiable information like names, email addresses and hashed passwords. Ubuntu may offer a worse download experience depending upon which part of the world you are in. This is because Ubuntu's website automatically chooses a mirror to use based on geolocation of the user's IP address. The idea works in most cases but in India, this could default to an extremely slow mirror from one of India's universities. Linux Mint download pages allow the user to choose the mirror they want to use. Ubuntu has more (and arguably easier) installation options compared with Mint. For Windows users, the Wubi installer makes installing Ubuntu extremely easy. The installer automatically partitions the hard drive and installs Ubuntu as a program in Windows so that it can be removed easily if the user wishes to uninstall. Ubuntu is not launched as a program within Windows, however. Instead, at boot time the user is allowed to choose which OS to start in. Linux Mint discourages upgrading every six months (see upgrade instructions). Mint recommends a fresh re-installation for each release; it is necessary to back up all data and applications. Ubuntu also recommends backing up before upgrading but has an easier upgrade flow with its Update Manager software that is pre-installed. Linux Mint 14 "Nadia" review - OMG! Ubuntu! Whereas with Mint...Lots of log in problems, and I find it slightly harder to use to get the OS to do what *I* want it to. Nevertheless, I love both Mint and Ubuntu, and choose to use them over Windows any day. Latest versions are now Linux Mint 15 and Ubuntu 13.04. Linux Mint will also partion and format HD on installation, and will create dual-boot configuration if that's what you want. Linux Mint 15 has new "Driver Manager" which simplifies wireless connecting.